The Anti Aging Skin Care Market is flooded with a hundred products, each claiming to have a miraculous ingredient that will work magic on your skin and will keep people guessing about your age. While many of these products work, it is important for you to know about the different age fighting ingredients that are present in these solutions so that you can make the right pick, based on the effectiveness of these ingredients. 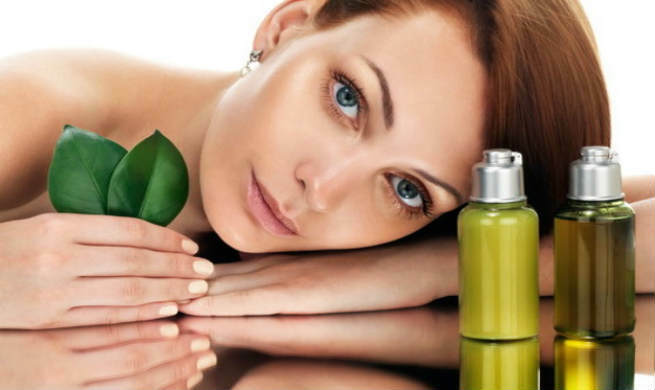 We tell you here about the main anti aging skin care ingredients which are present in the anti-aging products and how each of them works to help you look younger. Hyaluronic Acid is a naturally occurring complex sugar that is present in our connective tissues and acts as a cushioning agent. Serums and lotions that are rich in Hyaluronic Acid help in drawing water from the inner layers of the skin and from the atmosphere into the epidermis. This causes the hyaluronic acid molecules to swell up in size, instantly plumping up your skin. It even promotes production of collagen in the skin. Retinol is derived from Vitamin A and is a mild over the counter anti-aging ingredient. Anti Aging solutions with retinol take time to show effect but are very helpful in unclogging pores, removing dark spots and smoothing wrinkles on the face and neck. Regular use promotes the production of collagen and improves the cell turnover in the skin, making your skin firmer and well toned. Alpha Hydroxy Acids or AHAs as they are popularly known help in improving the production of collagen in the skin and in also giving you an even skin tone. They help remove the dullness from the skin and also minimize the appearance of pores in the skin. Regular use of products with AHAs gives you a more luminous skin. Vitamin C, in the form of L-ascorbic acid helps in increasing the collagen production, one of the major boosters of youthfulness in the skin. It also fights free radicals which are the root cause of aging in the first place. Use of an anti-aging products with Vitamin C gives you skin that is soft and elastic. It is also known to reduce inflammation in the skin. Vitamin E helps in preventing oxidative damage of the skin. Vitamin E helps in protecting the skin membrane and the collagen present in the skin. Its efficiency is increased in the presence of Vitamin C. You can find Vitamin E in the form of tocopheryl acetate, alpha tocopherol and tocopheryl succinate in skin care products. Niacinamide is a derivative of Vitamin B3. It prevents pigmentation in the skin by reducing the amount of melanin. Skin products containing Niacinamide help in reducing acne-scars, pigmentation, dark spots and signs of sun damage and old age. Niacinamide stimulates circulation and also improves the water content in the skin. Regular use also helps in reducing acne. Skin care and anti-aging products that contain antioxidants are very effective in curbing the action of free radicals which are the prime cause of aging in the body. Antioxidants control cell damage and also encourage the growth of cells. Normally, you would need to apply sunscreen under your lotion or serum, followed by makeup. Rather than that, look for products that provide you a broad spectrum sun protection. Maximum damage to the skin and wrinkles are caused by exposure to the sun. So keep your skin youthful and protected by using products with sunscreen. Ceramides are the glue that hold the skin cells together. Exposure to the sun, damage done by pollutants and free radicals reduce the ceramide content in the skin. Replenish this content using products that are rich in ceramides, to reinforce the strength of the skin and to make it more youthful. Restoring the peptide levels in the skin gives you botox like effect on the skin. Applying skin care products with peptides helps your skin become very supple since it increases the production of collagen in the skin, keeps it elastic and diminishes the wrinkles that are visible on the skin.